Baxcel walked to his first period class. He was not pleased to be the first one there. His teacher, Rin Kagamine greeted him. 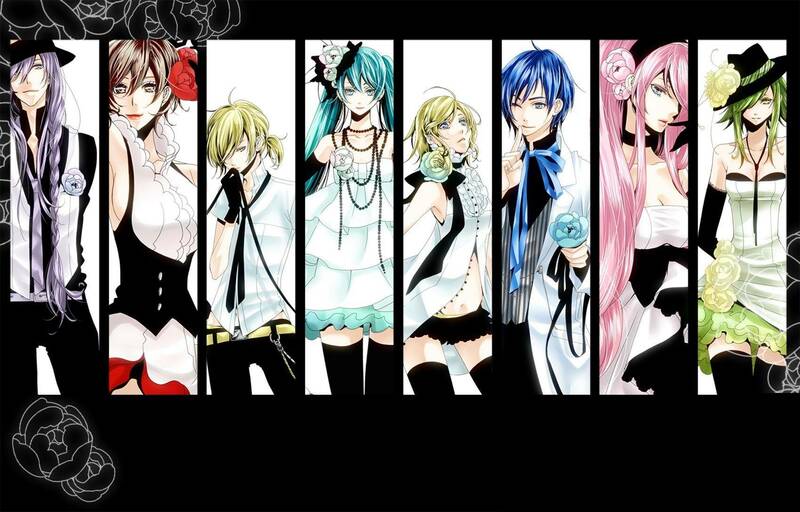 "Hello Ms. Kagamine. I'm Baxcel, from Utauloid" he said proudly. Baxcel chose a seat in the middle of the classroom. He didn't like the back, but he didn't like the front either. Baxcel sighed. 'I hate arriving early,' he thought as other students walked in. Xden ran through the halls. 'I want to be the first to class!' he thought. He stopped in the doorway when he saw him. 'He's in my class?' thought Xden. Xden smiled and took the seat next to Baxcel. "Hi Baxcel. It's nice to see you!" he said cheerfully. Baxcel looked up. 'Not him again. Doesn't he remember i was mean to him?' thought Baxcel. "Fancy seeing you here," he said. Xden stared at him. "I haven't forgiven you for what you did. I wish you didn't go to this school!" he whispered angrily. During the second break, Baxcel realized he had every class with Xden. He was angry now. WHY DO YOU HAVE EVERY CLASS WITH ME!" he yelled. He did not want every class with Xden. ARE YOU FOLLOWING MY EVERY MOVE OR SOMETHING?! WHY DID YOU COPY ALL MY CLASSES!?" yelled Baxcel. Xden was terrified. "I-I w-wasn't t-trying t-to c-copy y-you," he stammered. Baxcel was angry. Very angry and Xden didn't like it. "I-it's n-n-not m-m-my fault our schedules are the same, it just happened!" whimpered Xden. "IT IS YOUR FAULT! DON'T LIE TO ME!" roared Baxcel. He raised his fist to punch Xden. Baxcel couldn't take it anymore. It had been six school days until he figured out Xden was in all his classes. Maxs was walking through the halls when she heard someone yelling. She looked around and saw Xden and Baxcel. Baxcel had his fist raised. 'He's going to punch Xden! What do I do?' she thought. Maxs ran over, hoping to prevent a possible fight. Xden was scared now. He closed his eyes. 'I don't want to die!' he thought waiting for the punch, but it never happened. 'What's happening?' thought Xden. He opened his eyes to see Maxs. "Don't hurt Xden, Baxcel. He didn't do anything to harm you," said Maxs calmly. She held Baxcel's fist in her small hand. 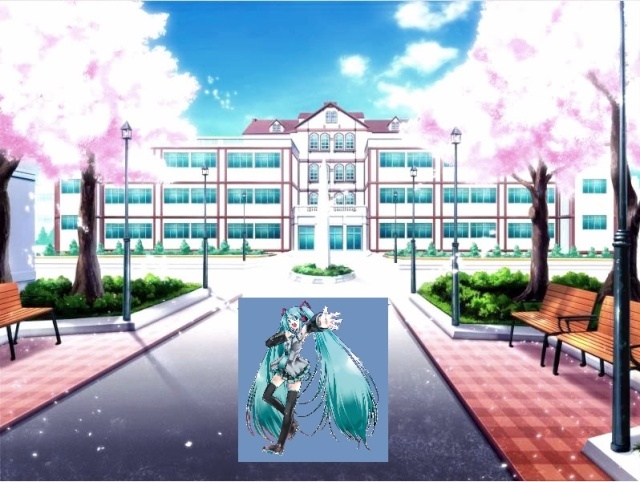 "I don't want to report you to Principal Miku," she said letting go of his hand. "M-Maxs What are you doing here?" asked Xden. He was confused. He thought Maxs didn't want to get hurt or into trouble. 'Why is she helping me?' he thought. Baxcel was not happy. "Fancy seeing you here, Maxs. Don't you have a 7th Period? I know I do, but I'm a bit busy," he said quite annoyed. He glared at Maxs. 'Why did she have to come and stop me?' thought Baxcel. "Leave or else you get it," he said to Maxs. Xden was scared, not for himself, but Maxs. "Maxs please leave," he said to the rather short girl. "I don't want to see you get hurt." Maxs shook her head. She couldn't believe this. The first time she tries to help, Xden tells her to leave. "I'm staying. I don't have to leave you guys alone. I have no idea who my science teacher is anyway. I'm waiting for a new schedule," she said, "don't you care that I'm trying to help you?" Baxcel growled angrily. "Leave now!" he yelled raising his fist to throw a punch. He hated it when people defied him. Maxs looked at Baxcel sideways. "For your information, I'm a 10th grader. You can't tell me what to do. I know you think you are great and all, but calm down," she said. She realized it wasn't a good idea to say when Baxcel punched her. Maxs sat on the ground rubbing her cheek. She tried not to cry. "That's not very nice," she whined. Baxcel glared at Maxs. "That's what you get for interfering!" he yelled. He turned to look at Xden again. "Now where were we?" Xden flinched. He glanced over at Maxs who was still sitting on the ground. "Please don't hurt me," he begged Baxcel. Maxs looked up, she had to get help. Xden was in trouble. 'I'll be back Xden,' she thought as she ran off. Xden was shocked to see Maxs leave. He thought she was going to help! He was in trouble now. Baxcel smiled. "Too bad your friend left you. Just too bad," he said laughing. He felt satisfied. Maxs probably wouldn't bother him anymore now. Baxcel started to chase after Xden. "Come Back here!" he yelled angrily. Baxcel growled under his breath. Maxs looked around and saw Xden run past. 'Where's he going now? I can't get help if he runs off like that!' she thought. Maxs sighed and chased after Xden. Xden looked over his shoulder and saw Maxs following him. "Maxs, what are you doing?" he asked.